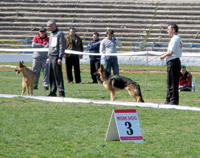 Specialized exhibition for German Shepherd Dogs in Dimitrovgrad town, Bulgaria. Referee - Dieter Oeser - Germany. 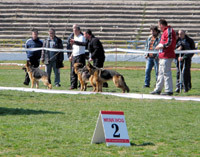 In class 12-18 months - Tigra von Goppy I - 6th place. In class female 18-24 months -Polly von Goppy I - 1st place. In class female over 24 months - Erika von Goppy I - 5th place.